The 2018-2019 yearbook has many wonderful photos of our FSMA students engaged in a variety of activities, from field trips to special events to sports. One of the things that makes our yearbook special is that it is created with a lot of student impact. Our 6th, 7th and 8th graders, who take the Publications elective, help create some of the pages and layouts. In many schools, a designated group takes on the challenge of creating the yearbook. 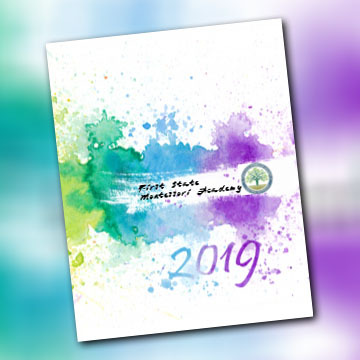 At FSMA, different groups participate at different times throughout the year and thus many children get to participate in the process of creating our yearbook. The final product is always amazing and we look forward to flipping through the pages as we reminisce about the year! If you have any questions, please email Jessica Gascard, our Librarian and Yearbook Adviser, at jessica.gascard@fsma.k12.de.us.